Scare People With Your Food! 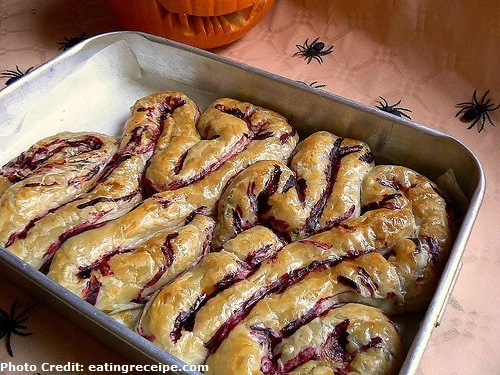 Halloween is just around the corner, which means frightening parties and delicious treats. Scare your guests with some Halloween addons! 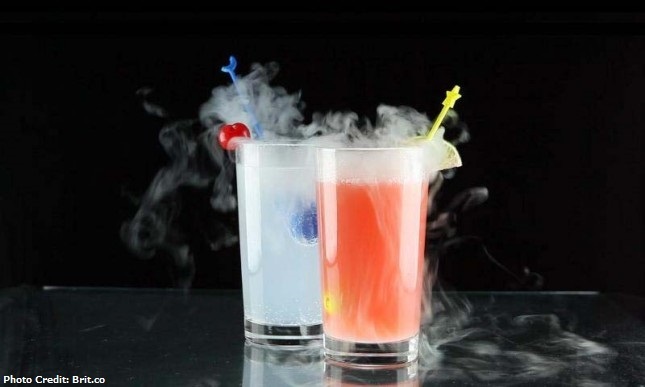 Dry ice provides a haunting effect of clouds, puffs of smoke that will spill over the edge for that creepy feel. It also keeps the drinks cool as ice should. Be cautious when handling the ice as it can cause burns/frostbites. 2. What screams blood better than some ketchup! Maybe ketchup doesn’t have that deep dark color that blood has or it’s too thick but that’s no problem at all. 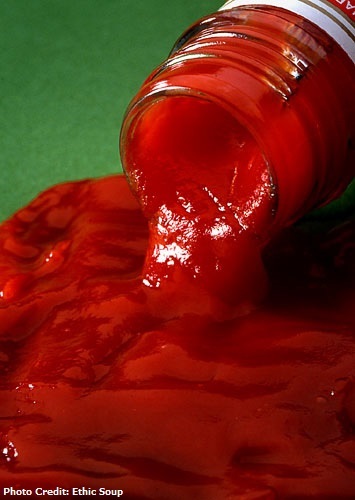 Mix ketchup with some water and corn syrup to fix the consistency of the ketchup and adding some drop of red food coloring can do the trick for this bloody mess. 3. The insect we all despise, cockroaches. Decorate your sweet treats or top off the cakes with these crawly creatures. 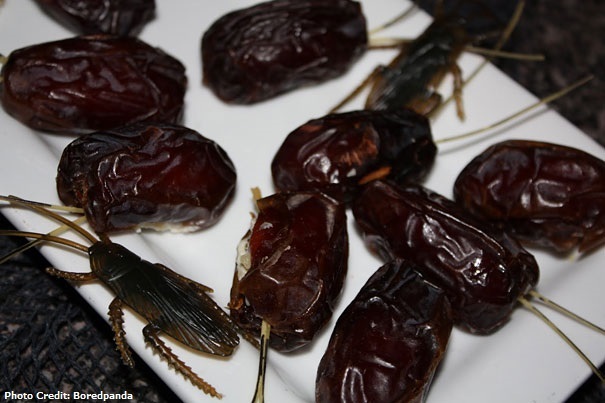 To make a creepy crawler, you’ll need some dates, walnuts or almonds, cream cheese and scallions tops. Stuff the date with some creamed cheese and chopped almonds or walnuts for the crunch! Use the scallion tops to poke in for the antennae. 4. Insert sweet shards of glass. It’s really simple to make, all you need is some granulated sugar and water. Bring the two to a boil in a pot, when the sugar dissolves, pour the liquid into a baking sheet and tilt it to fill the pan. Let it rest and harden. After it has cooled twist the sheet and break in any shape. 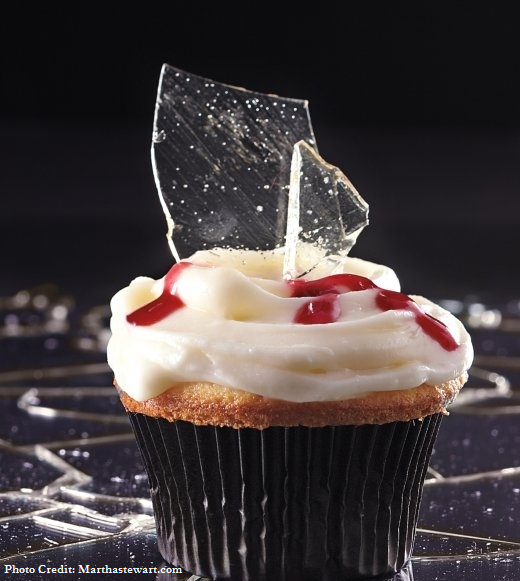 Do warn your guests before eating, we wouldn’t want any blood or broken teeth. 5. How about some worms? 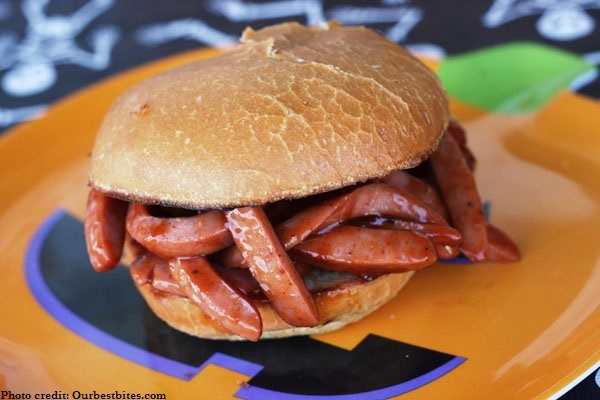 Just slice hot dogs and drop them into boiling water to cook, so they have a curl factor. You can throw them into sandwiches and top them with some BBQ sauce. If you don’t like them in a sandwich form no worries, throw them into some chili to resemble dirt.